Are you looking for an outstanding opportunity and an exciting career challenge? Do you want to be a contributing member of a very talented and decisive management team, responsible for several multimillion dollar projects throughout BC? Are you the type of leader that isn’t getting the appreciation and rewards for your contributions? Due to an increased growth in our business, EAC has an opening for this key management position. This is an opportunity to influence our future and make a difference in our company’s success. Emil Anderson Construction (EAC) is an award winning integrated construction company with over 80 years’ experience successfully completing road and bridge building, paving and industrial projects throughout B.C. In addition to civil construction, Dilworth Homes provides award winning home and commercial building services in the Okanagan and Emil Anderson Maintenance has been providing highway maintenance services in the Fraser Valley since 1996. As a family-owned and people focused company we strive to train and develop the best leaders in our industry. We provide a culture of learning, open communication, professionalism, respect and accountability. Due to growth in all our divisions we are seeking a Highway Paving Superintendent to join our Operations team. This is a full-time position reporting directly to the Senior Project Manager. Must be mobile and willing to work out of town during the paving season. Demonstrate leadership in health, safety and environmental protection on the project. Ensure quality work is completed in compliance with the construction documents and local building code. Develop, maintain, and drive the construction schedule in conjunction with the Project Manager. Evaluate workmanship and quality and abide by the company Quality Management program. Work with the project team to issue material purchase orders and confirms receipt of materials and return of equipment. Prepare daily and weekly plans and schedules. Familiar with BC MOTi End Product Specifications. Please submit your application to hr@eac.bc.ca attention: Crystal Alseth. Emil Anderson Construction thanks all applicants for their interest in the position, however only those under consideration for the position will be contacted. For more information about our company and future employment opportunities please visit our website at eac.bc.ca/careers. Do you have experience in highway paving? Do you want to be a key individual in a company with a long history of BC roadbuilding, a diverse fleet of equipment and resources to draw from, with the opportunity to make a difference and opportunities for growth? Emil Anderson Construction (EAC) Inc. is a family run business that has offices and shops in Kelowna, Hope, and Rosedale, BC. Operations include road construction, paving, highway maintenance, site development, land development and housing. We are seeking team members to join our out of town Highway Paving crew. LOA available for all positions. Must be willing to travel for work. Emil Anderson Construction (EAC) Inc. was founded in 1938. Operations include road construction, paving, highway maintenance, site development, land development and housing. We are seeking an experienced Hydraulic Driller responsible for assisting our crew in Golden, BC. Job duties will include drilling of production and shear-line, and occasionally helping the blast crew. • Have a strong work ethic, positive attitude, and proven ability to work effectively in a team environment. Please send your resume to hr@eac.bc.ca or fax 250 762-6171 Attention: Crystal Alseth. 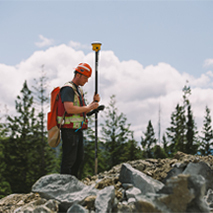 We are seeking crew members in Golden, BC to join our civil construction team. Individuals must be reliable and hardworking. As these positions are based out of Golden, local candidates, or those in surrounding areas are preferred. Emil Anderson Construction is seeking an experienced Pipe Foreman to work in the Kelowna area. Strong leadership skills, a great attitude, and well versed experience in Municipal construction. Your own method of transportation and valid driver’s license with a clean driver’s abstract. Position is available immediately and local candidates are preferred. Please submit your application to hr@eac.bc.ca or fax 250 762-6171. Please indicate which position you wish to apply for in the subject line of your application. Emil Anderson Construction thanks all applicants for their interest in the position, however only those under consideration for the position will be contacted. We are seeking an experienced Finish Grader Operator, responsible for assisting our construction crew in the Kelowna area. This is a Union position with a comprehensive wage and benefits package (International Union of Operating Engineers, Local 115). Possess a strong work ethic, positive attitude, and proven ability to work effectively in a team environment. Please submit your application to hr@eac.bc.ca or fax 250 762-6171. Please indicate which position you wish to apply for in the subject line of your application. Emil Anderson Construction thanks all applicants for their interest in the position, however only those under consideration for the position will be contacted. Local candidates are preferred. As a family-owned and people focused company we strive to train and develop the best leaders in our industry. We provide a culture of learning, open communication, professionalism, respect and accountability. We are seeking an experienced Labourer, responsible for assisting our construction crew. Grading and Pipelaying experience is considered an asset. The successful candidate must have a strong work ethic, positive attitude, and proven ability to work effectively in a team environment. Are you an experienced Heavy Equipment Operator? Are you looking for exciting work close to home on the West Coast of Vancouver Island for the next 16 to 24 months? Do you want to work for one of the longest standing and well-respected contractors in BC? Emil Anderson Construction (EAC) is an award winning integrated construction company with over 80 years’ experience successfully completing road and bridge building, paving and industrial projects throughout B.C. We provide a comprehensive wage and benefits package. We are seeking an experienced Heavy Equipment Operator, responsible for assisting our construction crew in the Kennedy Lake, Vancouver Island area. Must possess a valid Class 5 BC driver’s license and clean driver’s abstract. Please submit your application to hr@eac.bc.ca or fax 250 762-6171. Please indicate which position you wish to apply for in the subject line of your application. Emil Anderson Construction thanks all applicants for their interest in the position, however only those under consideration for the position will be contacted. For more information about our company and future employment opportunities please visit our website at www.eac.bc.ca. Local candidates are preferred. Are you an experienced Labourer or are you willing to learn a new trade? Do you want to work for one of the longest standing and well-respected highway construction contractors in BC? Emil Anderson Construction is seeking an experienced Pipelayer to assist our construction crew in Kelowna, BC. The successful candidate must have a great attitude, well versed experience working with deep and shallow utilities, their own transportation and valid driver’s license with a clean driver’s abstract. The successful candidate will be required to enroll as a member of the CSWU Local 1611 with great benefits and long term opportunity. Pipelayer and grade experience is required. Position available immediately. Please send your resume to hr@eac.bc.ca or fax 250 762 6171, Attention: Crystal Alseth. We are seeking an experienced Asphalt Rakerperson responsible for assisting our paving crew with the construction in the Kelowna area. The successful candidate must have a strong work ethic, positive attitude, and proven ability to work effectively in a team environment. This position is based in Kelowna, BC, local candidates are preferred. Position available immediately. Please send your resumes to hr@eac.bc.ca or fax 250 762-6171 attention: Crystal Alseth. We are seeking an experienced Heavy Equipment Operator , responsible for assisting our construction crew in the Kelowna area. Experience operating excavators and crawler dozers. Position is available immediately and local candidates are preferred. Please send your resumes to hr@eac.bc.ca or fax 250 762-6171 attention: Crystal Alseth. Emil Anderson Construction is seeking an experienced Pipelayer to assist our construction crew in Kelowna, BC. The successful candidate must have a great attitude, well versed experience working with deep and shallow utilities, their own transportation and valid driver’s license with a clean driver’s abstract. The successful candidate will be required to enroll as a member of the Construction & Specialized Workers’ Union Local 1611 with great benefits and long term opportunity. We offer a family oriented work environment with exciting long-term career potential. Fill out the form below to submit your qualifications.